Jason. Jason at the Eighth Annual AFI Awards, unsure about the beard =D. 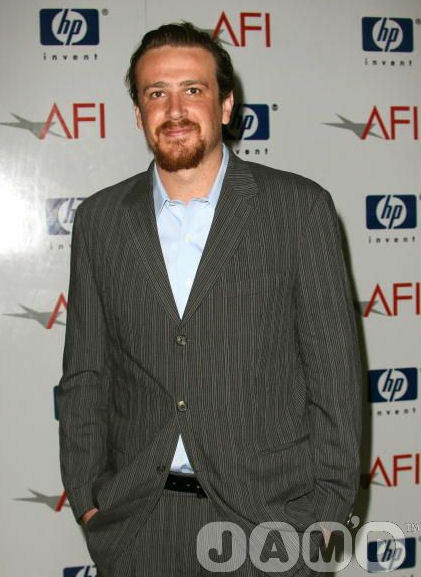 Wallpaper and background images in the Jason Segel club tagged: jason segel image photo picture red carpet afi awards beard. This Jason Segel photo contains کاروبار سوٹ, بزنس سوٹ, سوٹ, کپڑے کا سوٹ, اچھے کپڑے پہنے شخص, سوٹ, پتلون سوٹ, pantsuit, اچھی طرح کپڑے پہنے ہوئے شخص, and پنٹساٹ. There might also be سلیک سوٹ, ڈھیلے سوٹ, دو, دو پیس سوٹ, لاؤنج سوٹ, دو ٹکڑے, دو ٹکڑے سوٹ, ایک چھاتی جیکٹ, and واحد بریزٹید جیکٹ.